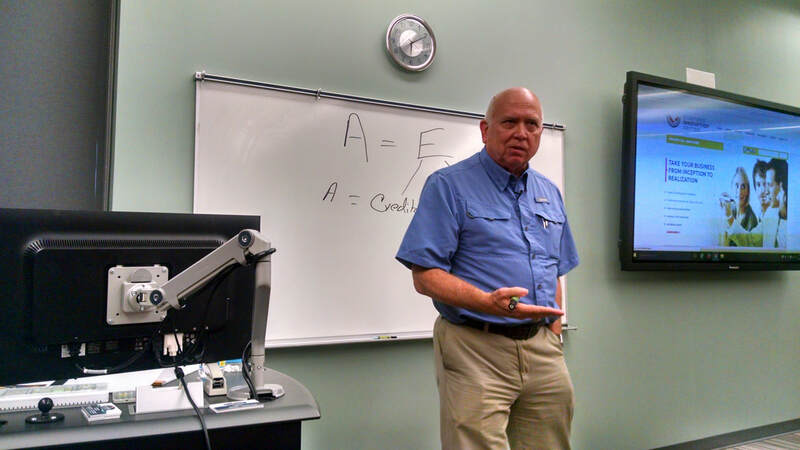 “Accounting is defined as the language of business” according to David Tipton, the guest speaker for June’s Enlightened Entrepreneur. David is a Certified Public Accountant with Tipton, Marler, Garner & Chastain The CPA Group and former adjunct professor of Accounting. He emphasizes that for a business to become successful, they must have a Strategic Finance plan and follow it through. According to David, a great start is to apply a formula that every business owner should know. The formula provides a basic understanding of your financial situation. First, identify assets to include real estate, company vehicles, office equipment, and capital. The assets are always set equal to the equity. There are two types of equity, the first being creditors and the second being the owners. Creditor equity will include bank loans, working capital loans, friends and family loans, and lease equipment agreements. Owners equity will include personal cash/savings, retirement account and sale of personal assets. Once you determine your Creditor and Owner Equity you add them together which equals the full amount of Equity in your business. You want Assets to equal your Equity. ● Worst thing a new business can do is take on too much debt too early or try to expand to fast and not make the necessary payments. ● Do not give up more than 50% percent of your business to investors. ● Know the form of business you want to establish. ​Tipton also discussed how businesses could protect assets by identifying the right business structure for the business. “Creating an LLC is worth the minimal amount it cost, and an LLC can protect personal assets from future lawsuits that may otherwise jeopardize personal finances. The CPA group website has a New Business Resource Center that has a Business Survival Guide and a guide for Considering an LLC.